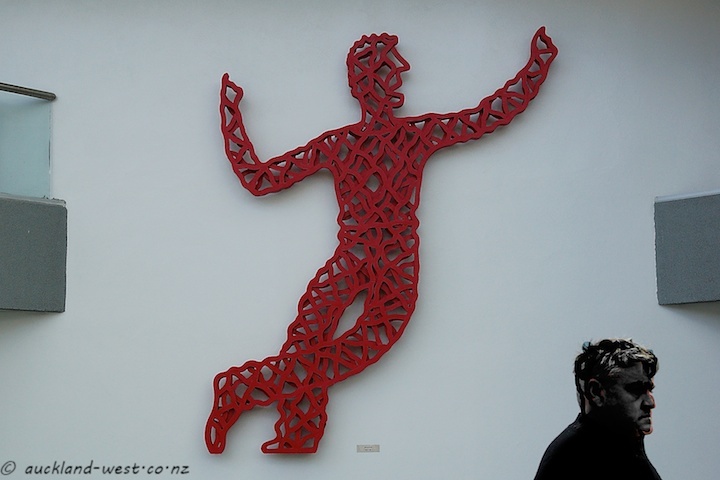 This 4 meter high work by Barry Lett was commissioned for the Aotea Centre in the city. Made from many pieces of tanalised pine, painted red. Originally intended to be freestanding, but it found an excellent place on one of the outside walls of the building.